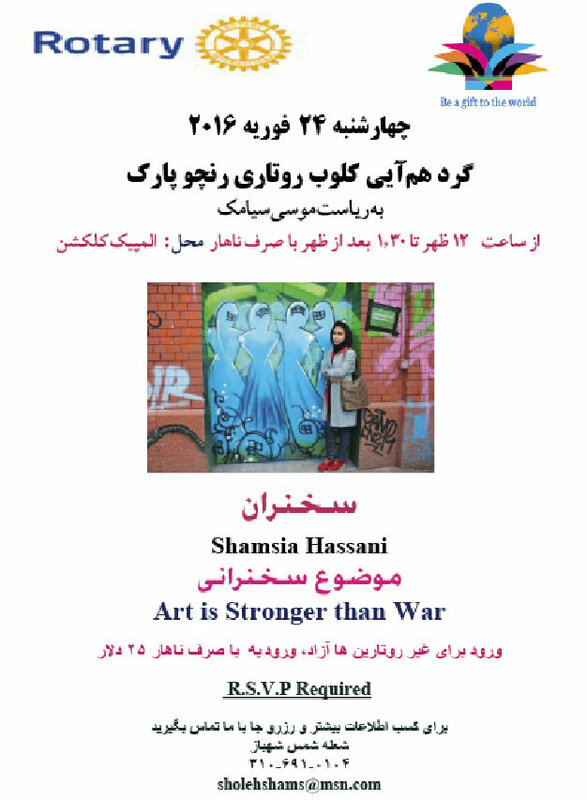 Speaker: Shamsia Hassani, topic: Art is stronger than war. 12 -1:30 pm at Olympic Collection, 11301 W. Olympic Bl. West Los Angeles, CA 90064.